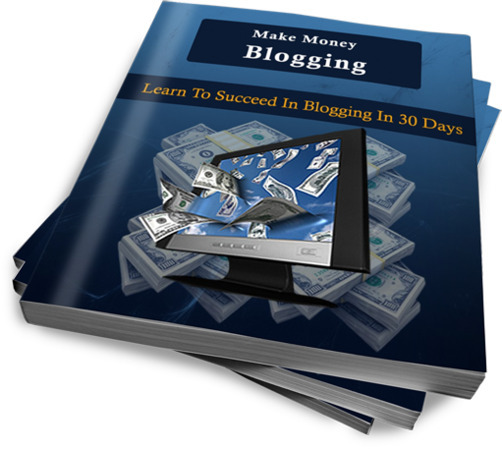 MAKE MONEY BLOGGING LEARN TO SUCCEED IN BLOGGING IN 30 DAYS! First of all, people come to the web for one thing and one thing only information. Whether they're shopping for products to buy or looking for a natural remedy for their acne, they're hitting the web for information, advice, and help. Second, search engines LOVE content. The more pages you have on your website or blog filled with quality content, the better. Whether you offer product reviews, funny stories, or meaty training, quality content is rewarded by Google, MSN, and Yahoo, as well as the many other smaller search engines online. Third, adding value to the Internet begins to establish you as an expert on your topic. By writing.